and then works with them to develop solutions to mitigate and control these risks. He works hard to gather the facts, evaluate the risks, and then structure a risk management strategy. Blake’s job focuses on building relationship and strategic planning. He measures success by the strength of his business relationships and how he can proactively help them. 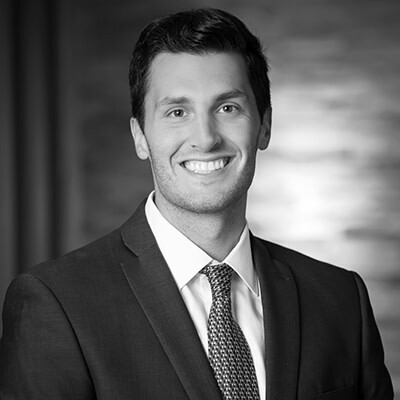 Blake takes great pride in helping his clients reach their business objectives and goals, and in meeting someone new and building a relationship with them. Since joining MMA, Blake has earned top business awards every year, largely due to his dedication to service delivery and reputation for delivering strategic solutions. His history of accomplishment has made him a respected force not only within MMA, but also within the broader marketplace. His business accomplishments include: MMA's Circle of Champions in 2017, Upper-Midwest Region Rising Star Award in 2017, National Rising Star Award in 2015, Rising Star of the Year in 2016, and President’s Club in 2015, 2016 and 2017. In addition, his sports career earned him many accolades including the Excellence in Sports Performance Yearly (ESPY winner for “Best Play of the Year” Award by ESPN) – 2005, 2008.